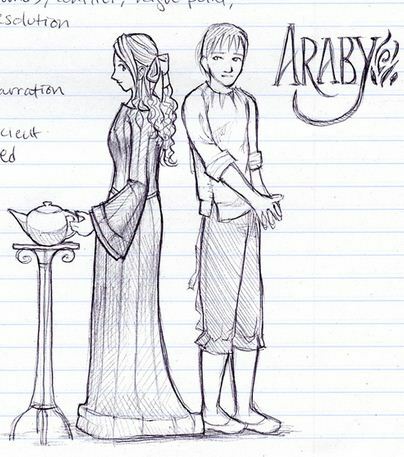 Synopsis of “Araby” by James Joyce. A young boy lives with his uncle and aunt in a house where earlier a priest had died. Their house is located in a dead-end street of North Dublin neighborhood. The young boy likes playing with his friends; he likes the one of his friend’s sister. The young boy is too shy to talk to his friend’s sister. He watches her all the time. He watches when she leaves for school, he walks behind her on her way to school, but he is too shy to talk to her. One rainy evening his friend’s sister asks him if he is going to go to Araby–a Dublin bazaar that sells eastern Arabic goods. She shares that she can’t go to the bazaar because she has to be at the retreat in her convent. The young boy in his daze promises to buy her a gift from the bazaar. The young boy plans to visit Araby on Saturday evening. The bazaar closes at 10 p.m. He spends Saturday fantasizing about his friend’s sister. He needs money from his uncle for shopping, but his uncle is late. Yet the young boy is able to leave home around nine and catch a train. Despite train delay, he reaches the bazaar ten minutes before the closing time. Araby doesn’t look like an exotic bazaar. It is dark and gloomy and looks abandoned. The young boy sees one open stall that sells English tea sets and vases. The sales people speak with an English not middle-eastern accent. The young boy contemplates and doesn’t buy anything, and starts his walk towards the train station.